It’s weekend again and one more week before I’m going on leave for two weeks. Yay, let’s count down. However, before that what you are going to read this weekend? Hmm… my suggestion is Ally Carter’s. I always love reading books about espionage, world-class criminal and thief, detective and similar to that. I fall in love to Sir Arthur Conan Doyle’s Sherlock Holmes since Study in Scarlet and then all Robert Ludlum’s Bourne, Dan Brown’s though my favorite is Digital Fortress instead of The Da Vinci Code, and recently I’ve been reading Stieg Larson’s and I love it because it combines the power of a journalist and a genius hacker since hacking always becomes my interest. So why Ally Carter’s? I know, you will think that Carter is much more like Cabot instead of Brown. It’s true but sometimes you need to relax your head. Reading Larson’s is thrilling and you really need good brain to read Brown and good memory to read Ludlum and specific interest to basic sleuthing to read Sherlock Holmes because the setting of time taken when DNA is still out of reach. That’s why if you want to refresh your head after a busy week; well at least here (Indonesia) is busy week because next week is holiday season for Idul Fitri. That’s why instead of reading heavy and thicky book, I suggest Ally Carter’s is the best. Funny story; when the first time I know about Ally Carter I was in a bookstore in Jogja looking for M.G.Harris’ Ice Shock (The Second book of Joshua’s File series after Invisible City), and the book is there with the word “Spy” attracted my attention. So, I pull out Cross My Heart and Hope to Spy from the shelf and in instant I was charmed with the cover; I think the cover is cute even the Indonesia version without knowing that it is actually the second book. Honestly, I haven’t read the first book until now (I’d Tell You I Love You, But Then I’d Have to Kill You) but I will soon because I’ve ordered the book from Periplus.com yesterday. However, I’ve read the rest of the series except for United We Spy, which hasn’t been published yet. Why I suggest her book is because the plot is very interesting. Let’s start with one of her series The Gallagher Girls; so far there are six books for this series though the last book, United We Spy, hasn’t come out yet. So, what Gallagher Girl series is about? It is about a school for girls. Well, from outside, you will see Gallagher Academy for Exceptional Young Woman as a regular private school for girl but if you enter the school you will see that they are not like any regular girls (read: normal girl); because they are not learning about knitting or table manner but they are trained as spies. In other words, once you leave that school your career choice is not working in Google or being the apprentice of Donald Trump but whether you prefer being the part of CIA or MI6 (if you’re British of course). The main character in Gallagher Girls is Cameron “Cammie” Ann Morgan; Cammie is a fifteen years old teenager and the only daughter of Gallagher Academy for Exceptional Young Woman’s headmistress. Her codename is “Chameleon” because she is really good in being invisible and disappear is her specialty. Cammie has three best friends; they are Rebecca “Bex” Baxter; a daughter of MI6’s active agents and her codename is The Duchess, and then Elizabeth “Liz” Sutton; she’s clumsy for a spy but her brain is unbelievable that’s why her codename is Bookworm, the last but not least is Macey McHenry; she is the newest member with codename Peacock; beside being a descendent of the founder, Macey is also a daughter of famous senator and her mother owns a cosmetic company. Well, unlike the others serious espionage novels, Gallagher Girls offers you a fresh story about a group of young spies who is not only care about their mission but also about how their hair look for the next class and which boy they should date this weekend. Definitely recommended to read. 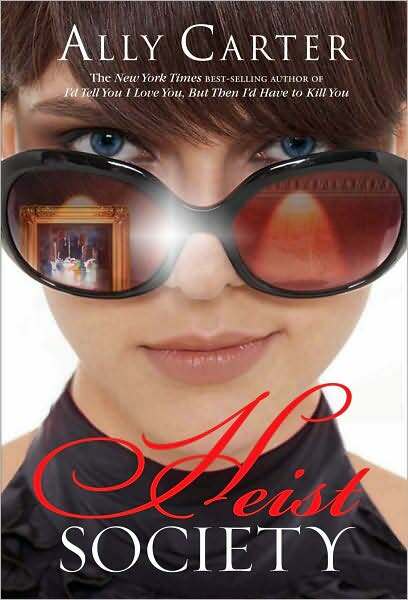 The second series from Ally Carter you should read is Heist Society series. This series has three books, though I’m not sure whether Ally Carter will continue the series or not, but there is one mysterious character in that series ‘Visily Romani’ is still mysterious up to the last series, so I guess there is more for the series; fingers crossed. 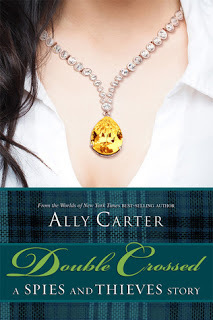 I just finished reading Perfect Scoundrels last night that’s why I’m really exciting to write about Ally Carter and her books. So, what is the different of Heist Society series and Gallagher Girls series? Well, if fifteen years old Cameron “Cammie” Ann Morgan is a professional spy, fifteen years old Katarina Bishop is a professional thief. Her interest is in artistic stuff from famous painting up to valuable artifact. She becomes a thief is simply because it is family business. Her father is Bobby Bishop is the number one Interpol’s most wanted guy and her uncle Eddie is the thief master who ever live. Just like Cammie and her best friends, Kat has some people who always work with her; like her stunning cousin Gabrielle who always takes role as distractor because of her stunning look, the Bagshaw brothers Angus and Hamish who really good in explosive stuff, Simon the computer guy and his advance hacking ability, and the last but not least, the sixteen year old billionaire W.W.Hale the fifth who has private jet and private butler who always ready to transport them as long as they are still on earth. So, what is the role of Katarina Bishop? Well, she is the brain and the planner of the operation. Actually there is one more character who occasionally helps Kat because he has connection in Interpol since his mother is an Interpol Liaison to the EU; he is Nick Bennett. One more thing, I don’t know, it’s actually just a thought you know, when it comes to Nick’s mother who always eager to catch Bobby Bishop, I guess one day there will be something between them. Well, once again, I just don’t know, it’s just a thought. Moreover, according to Wikipedia (though I still need do more research) Heist Society will be brought to motion picture with Drew Barrymore will takes place as a producer along with Warner Bros. Well, my life is getting better and better. Well, those are two series you should read from Ally Carter but there is one more a must read book from Ally Carter you should know; it is a book entitled Double-Crossed which also well known as A Spies and Thieves Story. Why this book is special? 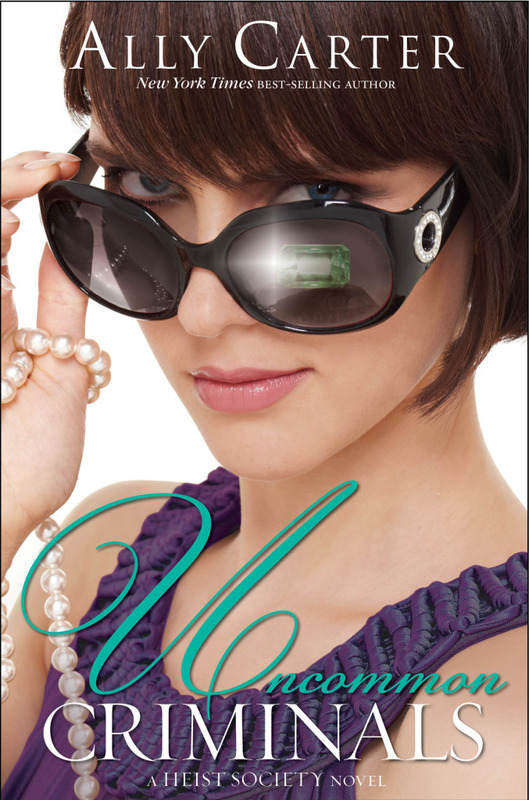 Because this book combines two characters from Gallagher Girls and Heist Society; Macey McHenry and W.W.Hale the fifth. Yeah, I also finished reading the book last night, so it is true that I read two books in a row yesterday. Both Macey and W.W.Hale the fifth are two teenagers who occasionally attend boring party hosted by Upper East Side family type (read: ultra-rich family). Unluckily for them or perhaps for the party crashers because both of them are in that party, there is a person who intended to steal Calloway Canary. So, there they are to stop the robbery, with the help of Special Agent Abby Cameron; Macey’s private bodyguard and Cammie’s favorite aunt and of course Katarina Bishop; W.W.Hale the fifth’s reason why he’s not flirting with Macey McHenry. I personally cannot wait for the next Spies and Thieves Story, if any. So, now you have a very long list of book to read this weekend. Speaking of Greek Mythology since Rick Riordan’s Percy Jackson, I don’t know where you could learn about the mythology better than reading his book. Well, I know the stories are fiction but still some points are written based on the mythology which twisted in amusing way; like Apollo is actually a hot God and Dionysus is the most obnoxious God. Never mind, because right now I’m not going to talk about Apollo or Dionysus but Hades; not actually Hades but some characters inspired by him. You know, I love reading Percy Jackson but I hate watching the movie. If you know about Greek Mythology and then you must have known that Persephone is kidnapped by Hades to underworld. In my imagination, Persephone will look like a slender beauty of princess in the gloomy place like underworld; at least she will wear silk yellow dress with wild flowers in her shiny sand blond hair and bracelets with real leaves in one of her hand; though bracelet here is not really necessary but, hey, I can’t blame what my imagination wants. So, you know, Persephone will look like the gentle part of Hades because Hades’ character described to be wicked and cruel at the same time; we cannot blame him either, he run the gloomiest place you could find in Greek Mythology, except Tartarus perhaps; but still it needs hard work to stay in that kind of place. I don’t even be able to stay longer than one hour in hospital or cemetery but he’s not only stay but manage that place as well. However, the movie has ruined everything, Persephone was defined to be a woman who likes to yell and worse, she dresses in black. That’s not right; that’s why I told my friend who said she prefers watching the movie than reading is a bad decision because you better read the book and don’t watch the movie if possible because by reading you could let your imagination takes control; you could see whatever you want in your imagination, that’s why we have brain, so use it. So, aside from that, the Hades’ character itself is very interesting. Compared to his mighty brothers, Zeus and Poseidon, he is the unluckiest one but I think the coolest one though I think Apollo still the hottest one. Okay, perhaps Hades has his own characters you could read in any Greek Mythology books you could find in National Library, that’s why now I prefer to talk about Hades’ offspring. 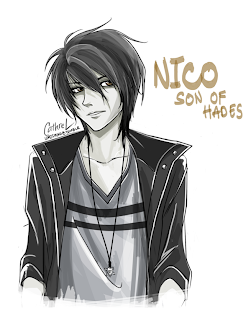 In Rick Riordan’s series, we have Nico di Angelo. Gosh, I like this kid, if Percy Jackson is the worst version of ADHD and then Nico is the coolest version of ADHD; though I’m not sure any people with ADHD could be considered to be cool because of their hyperactive behavior, but never mind. He is alone in the world after his sister died; though later he has Hazel as his half-sister but still he is alone, young, stubborn and the son of the God of the Underworld. Any girls will line up to date with him. And it seems not enough, he could summon the dead army as easy as you press enter in your Blackberry to send BBM. And again, my imagination takes control, in my imagination is he will always wear black; like black jeans, black T-shirt and black boot, typical outfit you could see in The Mortal Instruments worn by the Shadowhunters, but Nico will look much way cooler than Jace Wayland. Furthermore, Nico should be dark hair. Another cool character similar to Nico di Angelo is John Hayden from Abandon Trilogy of Meg Cabot; though in the series, John Hayden is somehow be there because he did something bad before in his life and punished to live eternally in underworld and handle Hades’ job and also follow Hades’ step; it is kidnapping a girl, Pierce Oliviera, who he has been in love with to underworld and ask her to stay with him. Nothing more romantic than that, isn’t it? Well, I know, nothing is going to happen in my real life right now, there is no Nico di Angelo and John Hayden but it doesn’t matter because whenever I want to hear about them, I just need to read about them and the next thing I know, my imagination will take control. Remember, read and don’t watch or movie will ruin everything. What's Wrong with Amanda Bynes? Do you know that I’m her big fans since The Big Fat Liar? The cute Bynes got adventure with Frankie Muniz in Los Angeles, who can resist watching that movie? Well, I could say that since then I watch all of her movies and my favorite is She’s the Man, me and my friend used to watch the movie and shout all the dialogue, especially when Sebastian Hasting personated by Viola Hasting dump Monique in Cessario, furthermore even What A Girl Wants inspired me to give my blog title as What A Nerd Wants. I’ve been hearing about her ugly list in Twitter and her TwitWar with Rihanna but since I didn’t follow her twitter so I’m not sure what exactly is happening until news about she got kicked from Ritz Carlton after smoking weed and insulted the hotel staff were everywhere. I don’t understand people. I don’t know how people could mess up with their own thought when everything they got and need is all in their head. I feel a bit sad with Bynes, well it is true that she’s not my friend, my sister or anyone I know but I watched all of her movies and have been following her career since she was just a kid. I watch Big Fat Liar and the last is Easy A in 2010 before she said that she does not love acting anymore, so she has stopped doing it. What do you feel when the nice person you know suddenly act weird? It is perhaps the best thing to describe the feeling of Bynes’ neighbor in New York after sometimes she moved in. Who don’t think that way if Bynes several times walking in her building lobby at 2 a.m in the morning just to laugh hysterically for four minutes or let her apartment’s door always open and change all the light bulb with red bulb, as stated by Gawker.com, like a parlor room in hell? Call her acting weird, she also inserted microdermal anchor into both her cheeks and twit about her nose being broken and need plastic surgery immediately. Not to mention all of the legal problems that frequently occurs since 2012 until now like talking on cell phone while driving, driving under influence, hit and run accidents that caused her license being suspended and seems it is still not enough, she also charged for driving using suspended license. 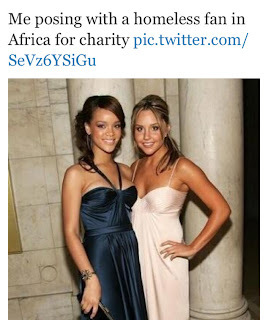 So, seriously What Is Wrong with Amanda Bynes? God, wish she get well soon from whatever mental breakdown she’s suffering now.